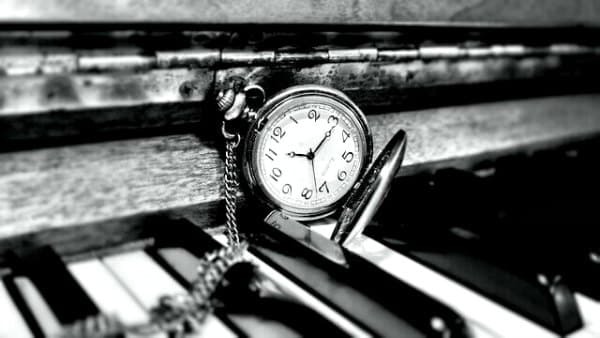 How much time do you really need to practice piano? But it is a fact that a certain number of practice hours are required to reach any skill level, and to reach a good level of piano playing- you need to put in the time! Simply put, less time means slower progress, and too little practice means no progress at all! Read on for straight recommendations about the minimum time needed for piano practice to make a steady progress from a young child to adult. Having a clear goal about what to learn each time. Dividing the practice time in 20-30 min sessions with a 5 min break in between (necessary for the brain as well as for the muscles to learn better). The practice material must also be divided in “portions” that are easy-ish to master. Hands must be practiced separately before playing together. Slow practice should always come before fast practice. Never allow mistakes to “fester”. As they happen, slow down, analyze the problem and work in tiny parts from scratch. Then polish until there is no mistake anymore. Studying away from the piano is also practice. Read the notes and listen to a performance of the music. Study the score and “conduct” as you were conducting an orchestra. Study a phrase, then close your eyes and imagine playing it. Really get a “feel” for the music. Constantly search for something to improve for each repetition. Make it more and more beautiful. How much time to practice also depends on age and skill level. 20 min. / day. Preferably divided in two 10 min. sessions. (Approx. 7 yrs old) 30 min. / day. Preferably divided in two 15 min. sessions. (Approx. 8 yrs old) 40 min. / day. Preferably divided in two 20 min. sessions. (Approx. 9 yrs old) 45 min. / day. Preferably divided in three 15 min. sessions. (Approx. 10 yrs old) 45 min. / day. Preferably divided in three 15 min. sessions. (Approx. 11 yrs old) 1 hr. / day. Preferably divided in three 20 min. sessions. (Approx. 12 yrs old) 1 hr. / day. Preferably divided in three 20 min. sessions. (Approx. 13 yrs old) 1 1/2 hr. / day. Divided like this: 10 min. warm up, 20 min practice, 5 min. break, 25 min. practice, 5 min. break, 25 min. practice. Or divide during the day. (Approx. 14 yrs old) 1 1/2 hr. / day. Divided as above. Session 1: 10 min. warm up, 20 min practice, 5 min. break, 25 min. practice. Session 2: 25 min practice, 5 min. break, 25 min. practice, 5 min. break. (Approx. 16+ yrs old) 2 hrs. / day. Divided as above. For recreational playing 1-2 hrs per day is fine to continue making progress. For continuing music study or a professional career as a musician, this time have to increase, at least in periods, up to at least 4-5 hrs. / day. 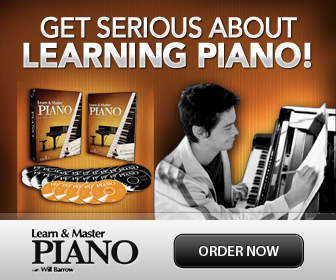 Adult beginners could start to practice piano 20-30 min. and gradually increase to 1+ hour, divided as for the intermediate levels above. Piano practice time needs to be built up gradually over time. To avoid pain and strain, never go from little practice to several hours at once! If you have practiced too little and want to increase time, increase gradually with 5-10 min. more each day. The Practice Revolution: Getting great results from the six days between lessons.